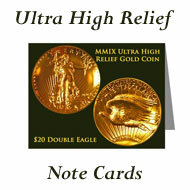 For each monthly coin show, the comments below summarize all of the earlier 2009 coin shows. Scroll down for the most recent coin show's notes at the bottom. Or, click on the month you want to view: February, March, April, May, June, July, August, September, October, November or December. The 21st coin show year is starting very busy! We had a full house of dealers with many guests throughout the day. In addition, the Sports Collectibles show was held at the hotel on the same day. Many people took advantage and visited both shows. Several people came to the show looking for gold and silver bullion. 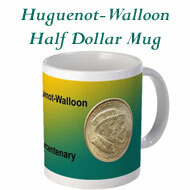 Silver bullion was available; however gold was difficult to find. Surprisingly, gold is not readily available, but the price is not starting to rise - yet. Generally, if you have a high demand and a scarcity of resource, the price increases. History tells us that will happen with gold in the near future. Perhaps you should research bullion as an investment vehicle. Are you an occasional hobbyist or a serious collector? An occasional dabbler or a focused investor? Perhaps this quote by Ralph Waldo Emerson can help you clarify: "He that rides his hobby gently must always give way to him that rides his hobby hard." Whether collecting or investing, "riding hard" can help you avoid mistakes - both minor and costly. In that same vein, look all around you. When the economy is bad, opportunities are many. With the right knowledge and investment in both time and money, you can excel in your results whether your goal is to complete a collection or to make financial gains. Both Abraham Lincoln and Thomas Edison commented on "waiting" and "hustling." Lincoln: "Things may come to those who wait, but only the things left behind by those who hustle." Edison: "Everything comes to those who hustle while they wait." And, a final quote by Sun Tzu, "Opportunities multiply as they are seized." What an interesting weather week! Earlier in the week, with wind chill, metro Atlanta had single digit temperatures down to 1 degree. But, today's weather for the show was beautiful with temperatures close to and exceeding 70. This week definitely showed the fickleness of Atlanta's weather. Today's show was busy with the bourse full of dealers and the aisles full of public guests. Due to several events scheduled in the hotel, the bourse was a smaller space this month. Next month, we will be back to our normal configuration. We appreciate both the dealers and the public's patience and flexibility with the tighter space and stressed HVAC this month. There were many guests throughout the day along with many new faces. Several people including the new arrivals were looking to buy silver and gold - either bullion or coins - in addition to the regulars looking to buy and sell coins. One of our regular dealers recently purchased a full Dahlonega gold set which he had on display. Perhaps it could be yours with the appropriate offer in the six digit range. Along with the normal discussions of coins and metals, many people were talking about the "stimulus" bills in the House and in the Senate. Everyone wants the economy to improve and the country to succeed, but there is a lot of displeasure in this effort by Congress and our new President. On the other hand, tough economic times equate to significant opportunities in the buying and selling of rare coins and bullion. For you savvy numismatists, you probably saw the article about Challenger in the ANA's March 2008 The Numismatist. The article was written by Joe Meyers who had personal experience with Challenger as part of the bald eagle conservancy and release program. He is also knowledgeable about Challenger's likeness on the US Mint's Bald Eagle Commemorative Coin program. (Some of you may know or have seen the author, Joe Meyers, at the local shows.) To review the article click here Challenger Coin. Both the video and the coin article are interesting and provide insights into the bald eagle programs, conservancy and coins. "When we see ourselves in a situation which must be endured and gone through, it is best to make up our minds to meet it with firmness, and accommodate everything to it in the best way practical. This lessens the evil, while fretting and fuming only serve to increase your own torments." "Opportunities multiply as they are seized; they die when neglected. Life is a long line of opportunities." For the show, the concern with the weather and actual road challenges in some areas of the metro area kept some of our dealers at home and our guests were also lighter than normal. Interestingly, a few of our regular dealers had a conflict this weekend and attended coin shows in Memphis and in Spartanburg. Memphis received a foot of snow and had to shut down I-40 for bad road conditions. Also, the same system that hit Atlanta was moving up the coast to impact South Carolina. We hope all of our dealers made it safely back home - those in Memphis, Spartanburg and Atlanta. 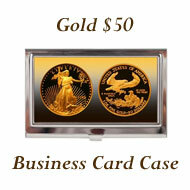 In general, due to the economy, both collectors and investors are looking for gold and silver bullion. As a result, the demand makes it difficult to stock a good supply. Once again, the bourse did not have much bullion. But, next month the bourse will be different. With the frequent buying and selling these dealers do in their shops and at other shows, the supplies of both coins and bullion change from month to month. Speaking of gold, a gold type set came in and was purchased by one of the dealers. 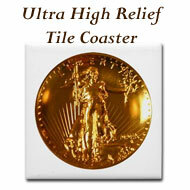 In the set, a Charlotte gold coin was included along with a high relief coin plus other coins as well. After purchasing, the set was placed on display and was for sale. Guests and dealers enjoyed buying, selling and trading, but the weather closed the show early. Even though the heavy snowfall stopped by mid afternoon, the high winds and colder temperatures had people leaving early. "If matters go badly now, they will not always be so." "We do not live an equal life, but one of contrasts and patchwork; now a little joy, then a sorrow, now a sin, then a generous or brave action." "The strongest of all warriors are these two - Time and Patience." Yes, Time and Patience are strong warriors, but you cannot sit on the sidelines just waiting. Watch the news and your investments. Do your due diligence to determine the best choices for your personal situation - collecting or investing. There are many opportunities that will fit your wallet and your goals. Easter Sunday was a very nice day. It was a soft day weatherwise, with the spring blossoms of azalea and dogwood highlighted by the sun filtering through the thin clouds along with mild temperatures to enjoy the springtime air. As expected, we did not have as many people as during our non-holiday shows, but we still had a lot of people. Many people called just to verify the show was open and came later in the day. As is common lately, some discussions turned to the economic repercussions. People talked about how credit card companies have reduced their card limits and how that is impacting them personally and with their businesses. Even those people who always pay their bills on time are seeing changes in their limits and in their interest rates. It's interesting, but not logical, that the credit card companies are punishing those who have been good customers. As for coins, several dealers on the bourse were selling the new 2009 log cabin cents. Some had rolls at $5 each and up. Others were selling single pennies, MS65 and higher, for $3.50 each and more. 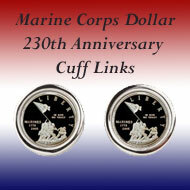 These cents will have a limited mintage and will be (already are) collectors' items. Of particular interest on the bourse was the Complete Set of Hawaiian Coins for sale. We don't mean the recent Hawaiian quarter mintages either. Hawaiian coins include seven different coins from the 1800s. The first was a Keneta or One Cent coin minted in 1847 under King Kamehameha III. Next was a 5 Keneta or Five Cent piece minted in 1881 authorized by King Kalakaua. In addition, he requested five other coins minted in 1883: the Umi Keneta (10 cents),the Hapawalu (12.5 cents), the Hapaha (25 cents), the Hapalua (50 cents) and the Akahi (dollar or dala). Several of the coins are inscribed on the reverse with the Hawaiian motto "Ua Mau Ke Ea O Ka Aina I Ka Pono" which means "the life of the land is in righteousness." For more information on the Hawaiian coins, what they look like and their mintages, check the online coin reference (www.coinfacts.com) or a Pastimes; Coins article in The New York Times. In another interesting coin transaction, one dealer bought a gold $20 coin for $1200. He showed it to another dealer who recognized the coin as one he had sold in 1989 for $320. Let's see....in 20 years the coin is now 375% of its 1989 sales value. Can gold be a good investment? You decide. "Real optimism is aware of problems but recognizes the solutions, knows about difficulties but believes they can be overcome, sees the negatives but accentuates the positives, is exposed to the worst but expects the best, has reason to complain but chooses to smile." "What you think about, talk about, and do something about is what comes about." "When you have finished your day, be done with it. Never save any of your load to carry on the morrow. You have done your best, and if some blunders and errors have crept in, forget them. Live this day and every day as if it all may end at sunset, and when your head hits the pillow, rest knowing that you have done your best." Until the next show, hold your head up with a smile, help others, take action toward your goals and rest each night knowing that you did your best. "It takes less time to do things right than to explain why you did it wrong." "Take pride in what you do. The kind of pride I'm talking about is not the arrogant puffed-up kind; it's just the whole idea of caring - fiercely caring." With that, imagine what you can do, believe in yourself and take great care in your actions. Wow! What a show! The June coin show was elbow to elbow during the morning hours. What a great show for both the dealers and the guests. The day was nice, warm but not unbearably hot, overcast but not raining. We appreciate all of you who decided it was the type of day to visit a show. Many dealers had better success than other recent shows. They commented that their one day at the Greater Atlanta Coin Show was better than the multiple days they set up at other shows. We hope you, our guests, also had a good show experience. A coin show and southern welcome goes to the gentleman from Illinois who was in Atlanta on a business trip. 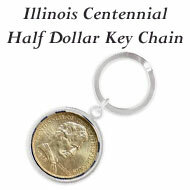 Several people implored him to participate in the next Lincoln cent event to be held in Illinois. The next release, projected to be August 13, delivers the third penny for Lincoln's Professional Life in Illinois. Whether our Illinois numismatist chose to accept their requests or not, we hope he enjoyed his visit to the coin show. Another coin show and southern welcome goes to a couple of new dealers who joined us in June, one a coin dealer from Alabama and the other an estate jewelry dealer from Georgia. We hope you had a successful show and will join us again. Have you been watching the economic news? Or, have you been watching what the economic news is doing to the gold, silver and platinum markets? These are definitely interesting times. 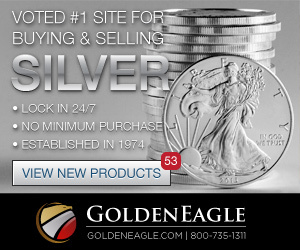 Some speculate that gold and silver will skyrocket soon. On the other hand, who knows if and when? At the June show, the dealers who brought gold sold out. Perhaps that is indicative of what people think of the market. But, as always suggested, perform your own due diligence research and make your own gold and silver investment choices. Our 16th president's shrewdness transcends the years. As numismatists, have fun collecting the new pennies and use them to remember and learn from his wisdom. Even though the day was hot, the show had great attendence. The day was dry until the end of the show. Even then, people had left the show before being caught in the gully washers as they drove home. Earlier in the day, a bicycle race trapped a few of our visitors coming down Georgia 400. All lanes were blocked for 45 minutes or more. Now, we're not sure whose bright idea it was to close a major north-south artery to the city, but we hope they found the hassle for everyone worth it. A big THANK YOU goes to those people who persevered and made it to the coin show even after their entrapment on a major highway. Once again, people wanted to buy and sell gold and silver. In reviewing the coin and investment market, major bullion dealers speculate that prices will sky rocket soon. Their main justification is demand exceeds supply. Yes, you can still find the bullion in small quantities, but much of it is out of circulation in private collections, safes and vaults. "Let us then be up and doing, with a heart for any fate, still achieving, still pursuing, learn to labor and to wait." "In great matters men show themselves as they wish to be seen; in small matters as they are." "Events of great consequence often spring from trifling circumstances." Think about those, think about how they can apply to your successes and setbacks today. Then remember, you can do little things every day to go forward and to improve. "To persevere, trusting in what hopes he has, is courage in a man. The coward despairs." "If you wish success in your life, make perseverance your bosom friend." Remember those quotes as you pursue your collecting, investing and just everyday living with tenacity, perseverance and persistence. Wasn't the day wonderful? Yes, it was overcast most of the day and in the low 80s, but didn't it feel nice to be out and about? Plus, today's late summer 80s do not feel as hot as the early summer 80s. The humidity begins to decrease as fall approaches. Are they right? Maybe, who really knows for sure. Take a look at kitco every few days to watch the charts. 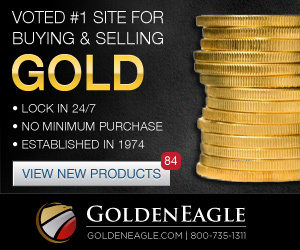 It's a great resource if you collect or invest in gold. If you don't, it's still an interesting resource to see what is happening in the gold markets. On a different note, one dealer had a Lincoln cent collection. Some people may scoff at Lincoln collections, but others find the Lincoln cents very interesting. In this collection, the key dates were very nice and worth several thousands of dollars even without the all of the other coins. Yes, the 1909 S-VDB was in there and very nice too. Henry Ford: " It has been my observation that most people get ahead during the time that others waste." Thomas Edison: "Genius is one percent inspiration, ninety-nine percent perspiration." Francis Bacon: "A wise man will make more opportunities than he finds." George Eliot: "Our deeds determine us, as much as we determine our deeds." Socrates: "The highest form of human excellence is to question oneself and others." Find the opportunities around you and take action to make them work for you while always questioning their validity. Of course, the 09-S and 09-SVDB coins are 1909 cents, the debut year for the Lincoln penny. The initial release of the coin had the creator's initials (VDB for Victor David Brenner) on the back of the coin. People were pleased with the new Lincoln cent but not pleased with the initials. The mint released another version without the VDB initials. Mae West: "Your real security is yourself. You know you can do it, and they can't ever take that away from you." Henry Ford: "If money is your hope for independence, you will never have it. The only real security that a man can have in this world is a reserve of knowledge, experience and ability." John Cudahy: "Our greatest illusion is reliance upon the security and permanence of material possessions. We must search for some other coin." Henry Miller: "The man who looks for security, even in the mind, is like a man who would chop off his limbs in order to have artificial ones which will give him no pain or trouble." General Douglas MacArthur: "There is no security on this earth. Only opportunity." From a poem quoted in "Dear Abby:"
To expose your ideas, your dreams, before a crowd, is to risk their loss. To believe is to risk failure. The people who risk nothing do nothing, have nothing, are nothing. Chained by their attitudes, they are slaves; they have forfeited their freedom. Helen Keller: "Security is mostly superstition. It does not exist in nature. Avoiding danger is no safer in the long run than outright exposure. The fearful are caught as often as the bold." Sometimes bright, pretty days mean people find other things to enjoy outside rather than come to an inside event such as a coin show. Not this day - the show was packed with wall to wall people. We saw a lot of new faces this month - we're glad you came. 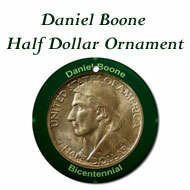 Continuing with the year of Lincoln, the newly released Lincoln Coin and Chronicle set was available on the bourse. This beautiful set includes proof versions of the four pennies highlighting the four stages of Lincoln's life along with the silver commemorative dollar. "we here highly resolve that these dead shall not have died in vain—that this nation, under God, shall have a new birth of freedom—and that government: of the people, by the people, for the people, shall not perish from the earth." Sir James M. Barrie: "Always be a little kinder than necessary." 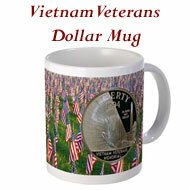 Charles F. Dole: "Goodwill is the mightiest practical force in the universe." Danny Thomas: "Success has nothing to do with what you gain in life or accomplish for yourself. It's what you do for others." Ralph Waldo Emerson: "You cannot do a kindness too soon, for you never know how soon it will be too late." Thomas Carlyle: "Without kindness, there can be no true joy." Our show Sunday was a rainy day in Georgia which made us shiver more than we should have with the moderate, mid-40s temperatures. But the wet and mildly cold weather did not stop our dealers or our guests. We still had a great show! Several of our regular dealers became weekend road warriors. They left the Gallatin TN two-day show Saturday afternoon and made it to Atlanta for our Sunday show. Many dealers even came early, as they normally do, to set up and be ready for the general admission at 9 am. Once again, we had lots of visitors to the show. Plus, the bourse entertained many young people throughout the day. One young gentleman proudly showed off his just completed P&D state quarter set. And, he should be proud of his accomplishment. Of course, dealers brought gold to sell, and many sold their supply, too. Gold on the floor ranged from American Liberty coins to Mexican Pesos - 50 and 20 - along with Koronas from Hungary and Koruners from Czechoslovakia. Did you know that the Mexican 50 Pesos gold coin is more than one troy ounce? In fact it contains 1.2057 troy ounces of gold. But, for the 20 pesos gold coin, the mint date makes a difference. 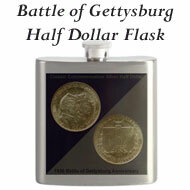 If minted between 1866 and 1905, the gold content weighs .952 troy ounces. 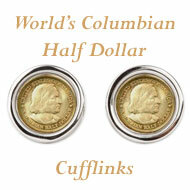 Whereas, a 20 pesos gold coin minted between 1917 and 1959 contains .4823 troy ounces of gold. Depending on the grade of the gold coins, they could sell based on melt value of gold or they could sell based on their collectible mint state. 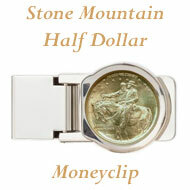 Slabbed proof state coins can be more valuable depending on the supply and demand for the particular gold coin. For example, high grade Dahlonega gold will be more valuable than melt. Now, in honor of our young numismatist who just finished his state quarter collection, let's have a few quotes on "accomplishment." Thomas Carlyle: Nothing builds self-esteem and self-confidence like accomplishment. Ray Kroc: All money means to me is a pride in accomplishment. Napoleon Hill: All the breaks you need in life wait within your imagination. Imagination is the workshop of your mind, capable of turning mind energy into accomplishment and wealth. Jim Rohn: Discipline is the bridge between goals and accomplishment. Norman Vincent Peale: There is a real magic in enthusiasm. It spells the difference between mediocrity and accomplishment.